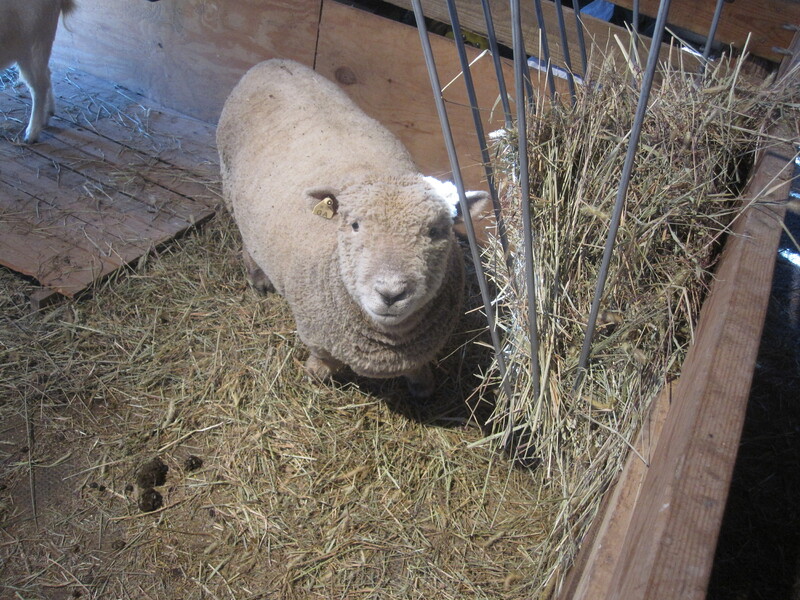 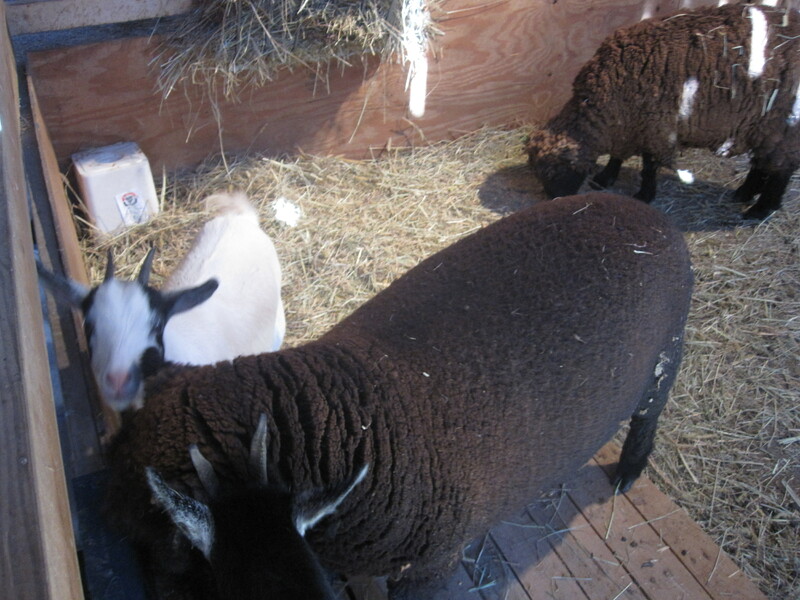 I let the animals come into a barn stall through a special door in the cold months. 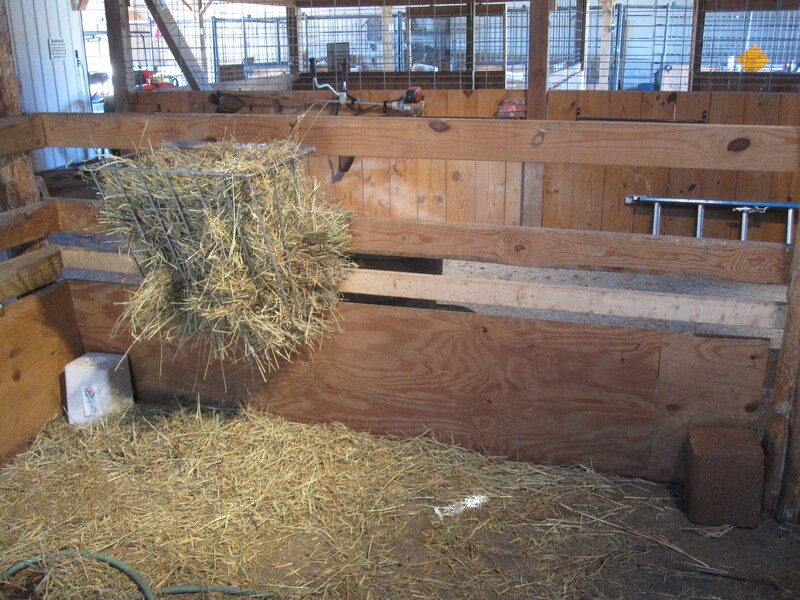 I spent the weekend getting it ready for them with fresh hay, protein and salt blocks, etc. 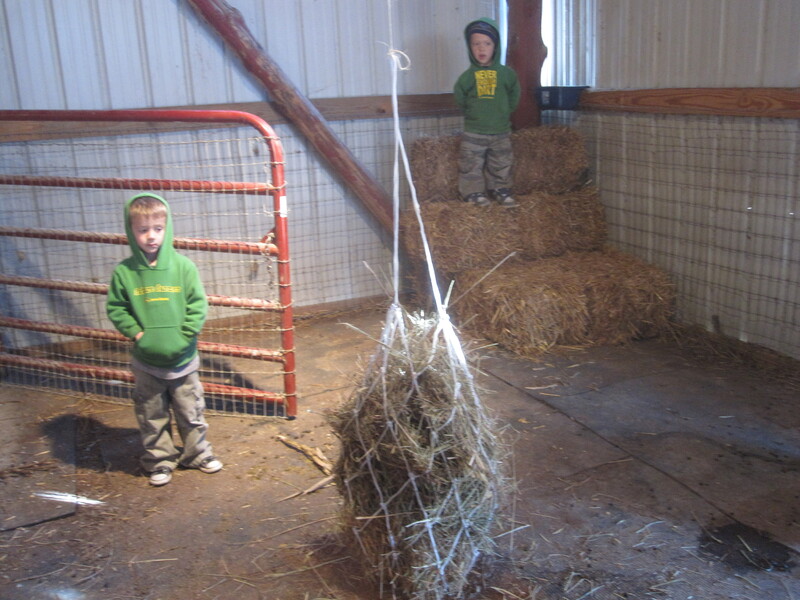 The hay net provides hay & entertainment as it swings. 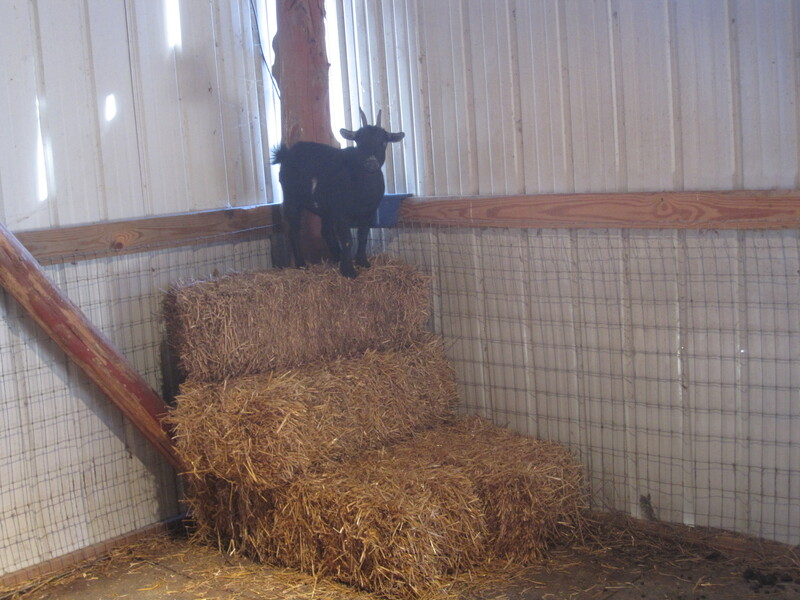 A staircase of straw is a fav of the goats.